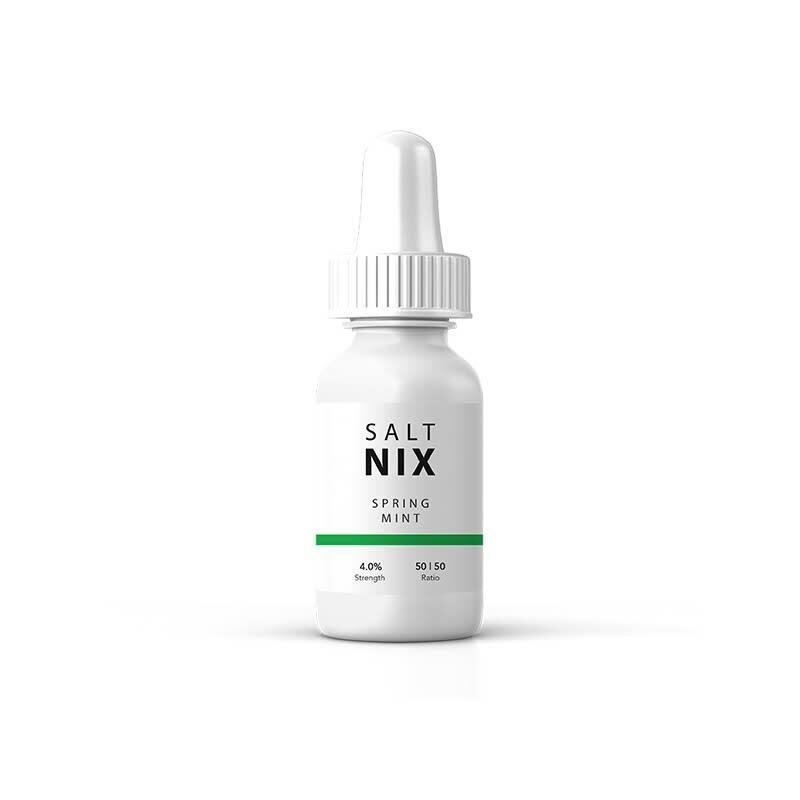 Salt Nix is a new line of e-liquid featuring nicotine salts, a new way of vaping nicotine, ideal for those looking for an experience closer to smoking. Spring Mint is a new take on minty flavours compared to the conventional mint e liquids who tend to favour the icy cool sensation of menthol whereas Spring Mint takes a fresh spin on the flavour by mixing sweet spearmint and bright peppermint to perfection. Salt Nix flavours are available in 20mg (or 2.0%) and 40mg (or 4.0%) of nicotine concentration, those high concentration of nicotine are intended for use with low wattage (7-12W), mouth-to-lung devices. Please note: 15mL bottles are being replaced by 30mL - available here. Nicotine Salts are the ideal type of high nicotine concentration e-liquid for new vapers looking for the closest experience to smoking. 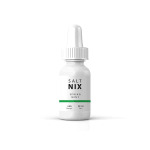 Salt Nix flavours come in 15ml bottles, and are available in 20mg (or 2.0%) and 40mg (or 4.0%) of nicotine concentration, those high concentration of nicotine are intended for use with low wattage (7-12W), mouth-to-lung devices. This is the good stuff right here. Really smooth and as minty as the day is long! The bottle is too small, but the flavour is really nice and smooth! It's not a pure "menthol" taste - it's actually a lot more minty than I thought it was going to be. Still pretty good. I thought this was going to taste like a menthol cigarette, but it's actually a lot more flavourful. I'm not a fan of mint, but I still don't mind this.